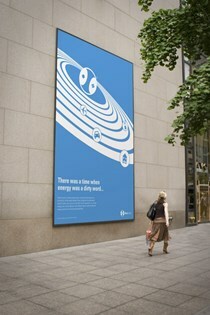 Jaye Louis Douce, a 28 year-old graphic design student at University College, Falmouth (UK) has produced design, catchphrases and posters that would befit an advertising blitz for fusion energy. French Academician Guy Laval coined the expression in his 2007 book "Blue Energy: a history of nuclear fusion." Laval's book opened with a scene from a not-too-distant future. In an unnamed "northern European country," the president is about to inaugurate the world's first commercial fusion reactor. "By connecting this reactor to the grid," he says to the audience, "mankind is entering a new era. This moment marks the end of a time of restrictions and the dawn of new industrial developments, freed from the constraints and anxieties of the past." The day and month of the ceremony has been chosen to coincide with the anniversary of the JET's inauguration, in 1984. Laval, however, does not tell us the year—it could be 30 years from now, it could be further away in the future. As the president pushes the button that connects the reactor to the grid, words flash in every European language on a giant screen: "Blue energy will save the Blue Planet." Jaye Louis Douce, a 28 year-old graphic design student at University College, Falmouth (UK) never read Guy Laval's book, but he too was inspired by the promises of what he calls "atomic fusion." He chose "Blue Energy" as the subject of his third-year final project and accordingly produced design, catchphrases and posters that would befit an advertising blitz for fusion energy. What Jaye's campaign aims to achieve is to "eradicate the stigma that surrounds all forms of nuclear energy and make nuclear energy a movement that will inspire and encourage people to enrol in an energy efficient revolution." Since "the process that is to give us limitless amounts of clean energy has been right above our heads the whole time," Jaye has chosen to create "a widely understood image of our solar system" with the sun like the core of an apple (or like the vacuum vessel of a tokamak "sliced in half") sitting at the centre and the planets, each carrying a symbol of everyday technology, orbiting around it. 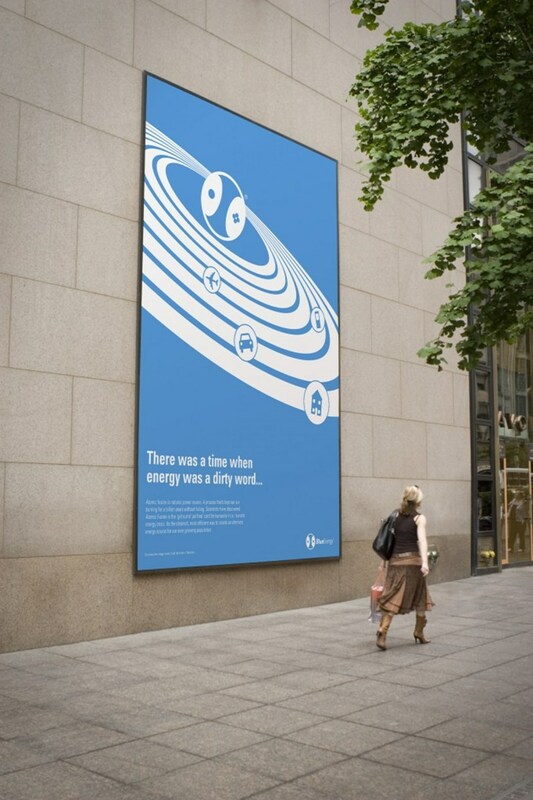 The poster's colour scheme is of course blue, with a slogan saying: "There was a time when energy was a dirty word ..."
Fusion has not reached the stage, yet, when a massive advertising campaign is necessary to promote what Jaye calls "its amazing benefits." But it will someday, in the not-so-distant future that Academician Laval described in the opening of his 2007 book.